An industry professional with more than 30 years of experience, Bartoszek will focus on expanding national construction account sales, as well as growing the company’s new government-focused business unit. 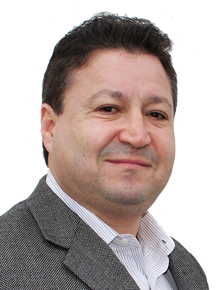 Bartoszek is an engineer who spent over 20 years at Gexpro as a strategic account manager. The new government department, under the direction of Randy Roessle, executive vice president at Turtle & Hughes, expands on the company’s long track record of successfully completing complex public infrastructure projects. It engages a team of integration specialists and engineers to partner with contractors that are prime to government and agency projects core to infrastructure, transit and transport, water/wastewater, and energy production, resiliency, storage and management. It launched in January 2019.